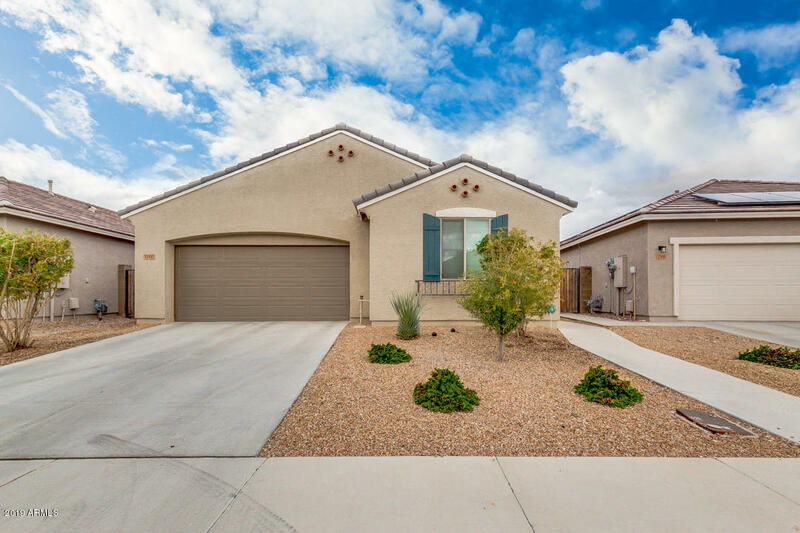 All COLDWATER RANCH UNIT 4 homes currently listed for sale in Peoria as of 04/20/2019 are shown below. You can change the search criteria at any time by pressing the 'Change Search' button below. "MORE PHOTOS TOMORROW, THIS BEAUTIFUL 4 BEDROOM PLUS DEN WITH CLOSET, COULD BE 5TH BEDROOM JUST ADD A DOOR, 3 BATHROOM HOME, GREAT KITCHEN WITH LOTS OF CABINETS AND GRANITE COUNTER SPACE, ISLAND, STAINLESS APPLIANCES, UPSTAIRS LAUNDRY, 1 BEDROOM DOWNSTAIRS COULD BE DEN OR OFFICE, 3/4 BATH DOWNSTAIRS, LARGE MASTER WITH SEPARATE SHOWER AND TUB, DOUBLE SINKS, CORNER LOT, GREEN TURF IN FRONT YARD, TANKLESS WATER HEATER, MOUNTAIN VIEWS, CEILING FANS, NORTH NORTH PEORIA COMMUNITY WITH BIKING/WALKI"
"Stunning and completely upgraded home in the highly desirable North Peoria area with all single story homes surrounding! This 3 bedroom 2 bath home plus a den that can easily be converted into a fourth bedroom with the addition of a door, and still has the closet. 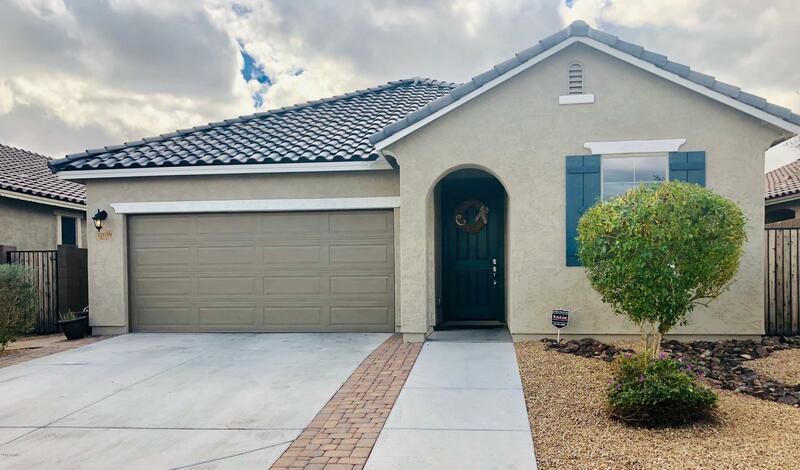 When you walk into this home you are immediately greeted by the charm with diagonal tile in all the main areas and a warm color pallet of two tone paint. Inside you will find the kitchen of your dreams with upgraded cabinets, granite c"
"Hurry to this beautiful home in the desired neighborhood of Coldwater Ranch! 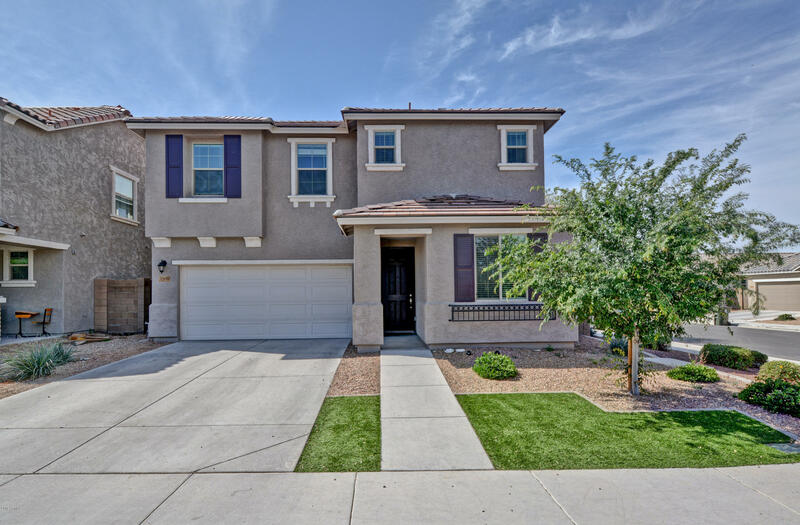 Amazing interior w/ a neutral color palette and upgraded tile flooring throughout (no carpet), including wood-look tile in the bedrooms, living rm, and hall. Impeccable eat-in kitchen w/ stainless steel appliances, gas stove, cabinets w/ crown molding, granite countertops, pantry, recessed lighting, island w/ centered sink & breakfast bar. Bright master bedroom w/full bath features Corian dual sinks and walk-in closet. "